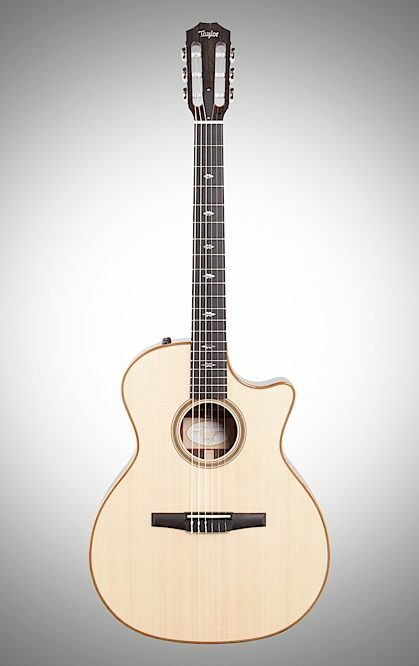 The Taylor 714ce-N Grand Auditorium classical nylon-string acoustic-electric guitar brings the allure and sophistication of the classical guitar into the 21st century. Your ears will love the articulate projection afforded by Taylor's Expression System 2 electronics. 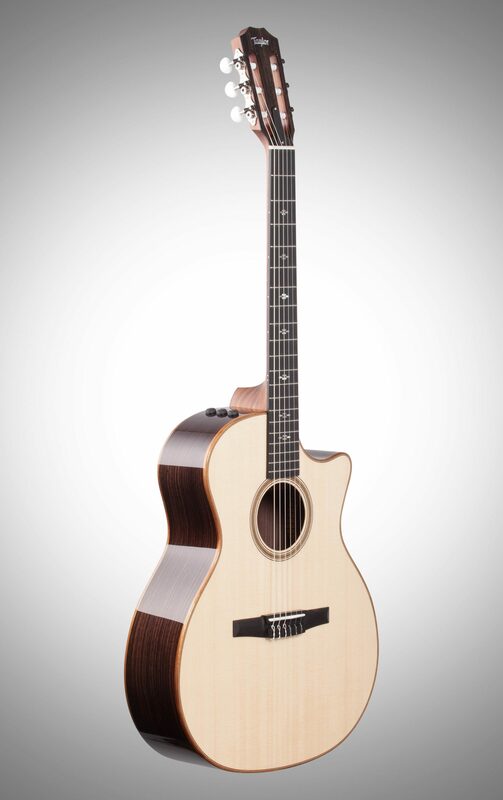 A Sitka spruce top pairs well with warm-sounding Indian rosewood back and sides, and a tropical American mahogany neck features 20 frets over a smooth ebony fingerboard. Ivoroid heritage diamond fingerboard inlays mark your fret positions with visual finesse, and a tasteful-looking Venetian cutaway gives your fingers easy access to those higher frets. The 700 series puts more of a focus on Americana-styled music, while adding in Taylor's unmatched appointments. 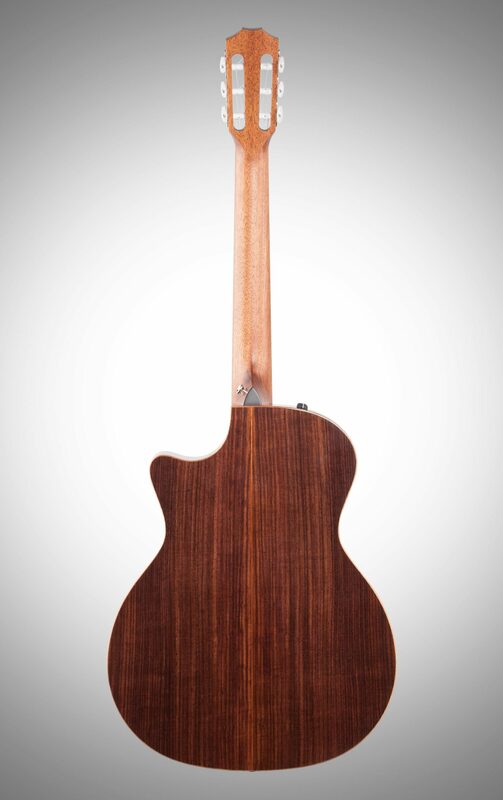 All 700 series guitars are built with spruce tops and Indian rosewood back and sides. All body shapes have a Venetian cutaway and utilize crystal-clear Taylor Expression System 2 electronics -- a step up from the original Expression System design. A classic tonewood pairing, Indian rosewood and spruce do an awesome job of keeping your sound warm and evenly balanced. Rosewood pushes the mids and lows slightly less than mahogany does, and spruce yields an even emphasis from the lows, mids, and highs. The result is a resonance that is neither too bright nor too dark and works well in a wide variety of genres and styles. 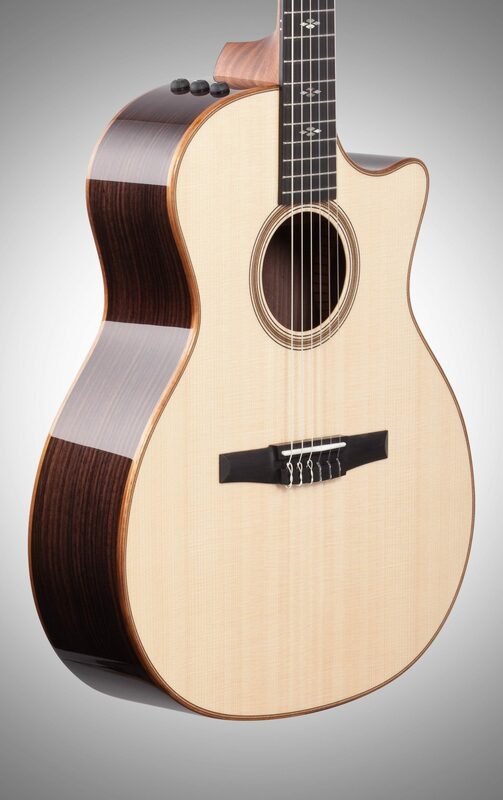 It's a great fit for the Grand Auditorium body -- Taylor Guitars' most popular body shape. The Expression System 2 electronics on all Taylor's 700 series guitars will help your sound really stand out in the crowd when you plug in your Taylor 714ce-N. Most acoustic-electric guitars utilize an under-the-saddle pickup orientation that often results in a somewhat thinner and less dynamic sound. 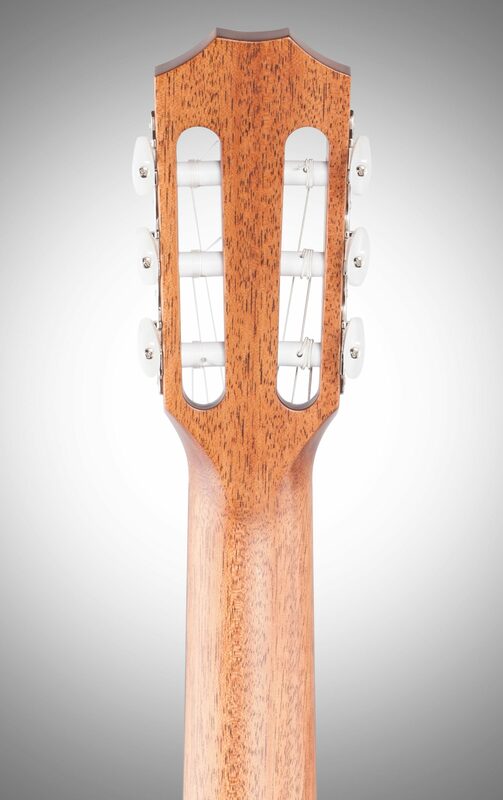 To avoid this drawback, the ES2 design on your Taylor 714ce-N features a behind-the-saddle piezo-electric transducer setup. You also have a slightly hotter gain control dial to push your signal more. Mahogany necks have a sturdy feel to them and tend to push the lows and mids of each note as well as adding a nice helping of sustain. 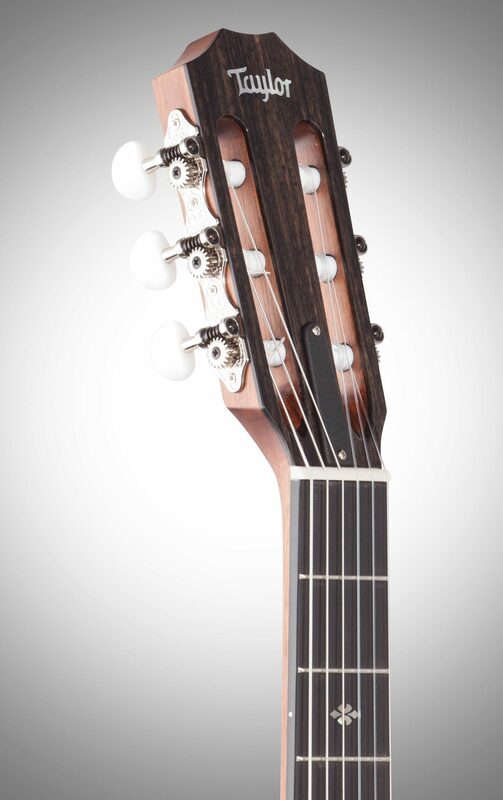 The ebony fingerboard provides super smooth playability and spans 20 frets, each boasting a tight and comfortable action. Ivoroid heritage diamond inlays and an attractive Ivoroid binding add a little extra finesse to the table. 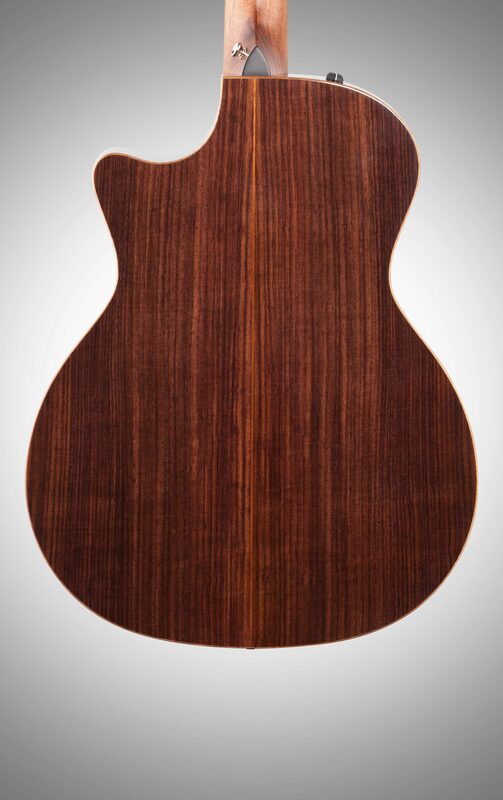 - Scale length of 25.5"
Part of Taylor's 700 Series rosewood guitars, the Taylor 714ce-N features a Sitka spruce top. 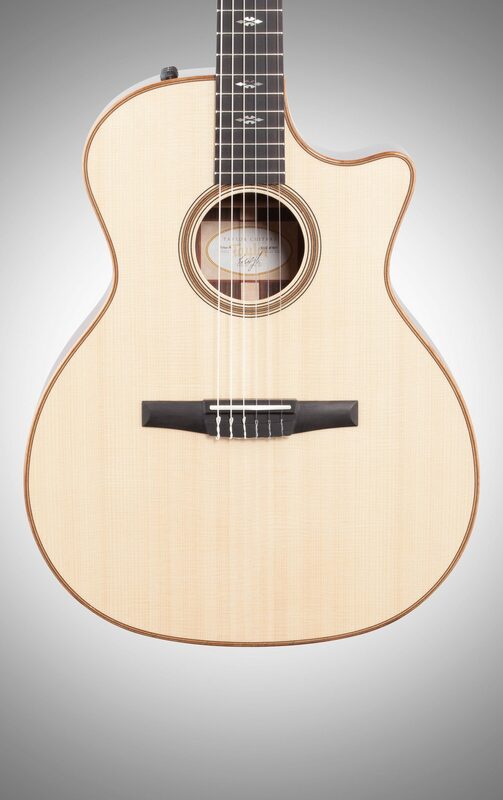 Overall: My new Taylor 714ce-N is awesome. This is my second Taylor and it did not disappoint again. I chose the Spruced top 714 because I wanted the brighter tone it offered, Each individual note is distinct, the action is easy the sound is full, the sunburst finish is beautiful and the electronics are stellar. What more can I say?